Once I fasted until sundown. It was very cleansing! There are foods that cleanse the body! The juice of fully ripe citrus, which has hung on the tree for the full three years, (hard to find outside of a California garden or your Healthfood store, BTW,) is one of them. If you want to get rid of toxins, if you have used anti-biotics, have low body energy, if your digestion tasks your mental crispness, and you zone out after lunch.... if you have slow body functions, constipation and bad breath, acne -- if you have any incipient disease, like aching joints, or have a frequent, white coated tongue or headaches when you exercise, you have to clean out the colon. Colons are like plumbing pipes with crevices, and the recesses become loaded with stuck stuff, and often their walls have ancient deposits. A few days on raw juices with some psyllium seed powder (metamucil) will get it nice and healthy again! What is more, you can do the cleansing without hunger! Start easy, in a pleasant, no hassle manner. Do a good cleansing diet where you can eat as much as you want of certain power healthfoods that are also body cleansers. Do this for five days a week, a gentle healthfood diet. On week-ends, go on a juice fast.You don't work Sat/Sun, right? Get to Wal-mart with 29$ and get the juicer. 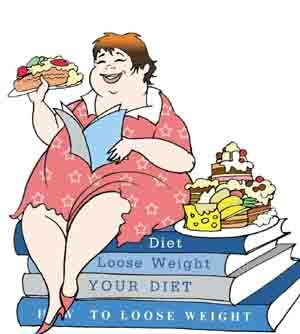 Weekdays do diet below, or if there are specific needs, I have the SOLAR WEIGHT LOSS DIET, ARTHRITIS DIET, many others, ask me about these. I'll email them to you no problem. On weekends, mix raw juices with psyllium and a few drops of licorice extract to banish hunger. That's the fasting part. FIVE DAYS A WEEK, EAT YOUR HEAD OFF! All the salads, vegies, fruits, proteins you want. Sprouted raw almonds, by the half pound! Grains are eaten with greens, proteins are eaten with greens, vegies, non starchy vegies. And fruits are eaten separately, sour fruits with sour, semi sweet with its own kind, sugary with its own kind. NO SUGARS/fruits are ever eaten with proteins. Combining is important. Eat vegies/salads with grains. Or eat proteins with greens/vegies, nothing else like grains, sugars. Eat FRUITS alone. Desserts are eaten alone, a few hours before a meal, not after. WEEKENDS: SERIOUS FASTING CAN BE DONE NOW! BREAKFAST- Have an all fruit juice smoothie, fresh squeezed, grape, pear, apple. Stir in psyllium or unflavored Metamucil. Or PSYLLIUM plus herbs, available at healthfood store under many different names. Brunch is the same -- juice w. a tbsp of psyllium stirred in, and ten drops of licorice extract. Makes all hunger or munchies depart! FENNEL* or green licorice plant, added to any other juice has an added benefit; it removes hunger. BANISHES the sensation of HUNGER! LUNCH - green juice, salads of all kinds wi. celery, smal pc beet, carrots, greens like collards, spinach. psyllium or metamucil unflavored. A half hour later, a big salad w. seeds, sprouts.FENNEL in salads also removes hunger. SNACK- avocado mashed into a tomato, onion, cilantro, jalapeno juice, to make a liquid guacamole. CHEW THIS DRINK as it needs saliva to digest....or it won't digest, and you'll burp. Some fennel in a carrot/celery juice. NIGHT- filling, high protein raw green juices with a glob of healthfood store four strains of culture in the yogurt only if you can't sleep for munchies I.E. chronic low blood sugar. Use Mountain High original flavor, not the small fat-free cups. Mountain High is one that's available in super market which has four strains of culture. Most others only have acidophilus, it's not enuf. Healthfood stores always have at least one really fine yogurt with multiple strains, bifidus, acidophillus and others. Throw pineapple juice in for sweetener. But go easy. SWEETS increase appetite! GO TO BED on the juice w. yogurt mix. Acid fruits mix well with yogurt, not sweet fruits. The calcium in yogurt is soperific. Put a few oranges or slice pineapple thru your Wal-mart juicer, --- if citrus, you can add some of the peel --- then add yogurt to what comes out. Licorice extract helps you get through the night, too. WHEN JUICING, TAKE ALL SLUSH from juicer and put on a compost pile, or in a bucket to put on the pile next time you go outside. Rinse machine, use a brush if it has a basket w. small holes; put upside down to dry in air. Don't put it away on shelf. Leave them on dry rack, ready to use. The easier we can make this the better. NOTE: If you cook fresh meat for animals, some of the slush would be good. They can't have onions or garlic, but greens, celery, carrots and a little beet would be fine for them. Drop the vegies in cooking meat. *FENNEL is available at all ITALIAN GROCERY stores, it looks like celery with fern on top. Posh super markets carry it, too. FINOCHIO. Licorice flavored celery. 4 Jerusalem artichokes (girasole.) Get the tubers at HFS, plant half! You'll never lack them again. 2 handfuls of fresh cilantro, from Mexican market. 3 carrots " " as a carrier for the other juices. Use a juicer  to press all ingredients except green food powder into a vegetable juice. Combine juice and green food powder in a bottle with a secure lid and shake well for 10 or more seconds. Enjoy within an hour of making this effective detox juice. *Jerusalem artichokes are rich in the soluble fiber insulin, which is known to encourage healthy bowel function. *Cilantro and chlorella are regularly recommended by many health practitioners, myself included, for purposes of detoxification. They chelate heavy metals in the body. *Radishes are known to stimulate the release of bile from the gall bladder. Bile is needed for optimal digestion of fat. Make it a point never to eat a fatty meat without a radish along for the ride. Wash radishes when they come from store, sit them in inch of water in dish in fridge.